For those who own their own business, I want to encourage you to make Periscope, and/or live streaming in general, part of your social media strategy. Live streaming, and more specifically Periscope, has made such an amazing difference in my business. So much so that I tell as many people as I can to jump in and push past the fear factor because there are great things on the other side of that ‘Start Broadcast’ button. We build a lot of content since content is what attracts people to us, right? We tweet. We can put things on Facebook. We create videos. We have a blog. All that content is what attracts people to us. It gives people a sense for who we are and is a great way to deliver value and be useful to our community. That said, if what you have to say doesn’t hold value, is useful and/or is relatable in some way to the people that you’re trying to attract to your business, then you’re simply wasting your time. Creating content can be time consuming, right? 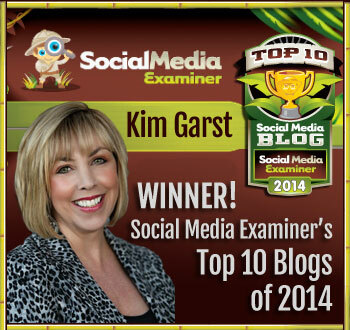 Periscope is such an amazing and EASY way to deliver value. We sit down and sometimes struggle to write a blog post because it can take 2 to 3 hours or more to write, but we can get on Periscope and immediately start delivering value-based content. We know our stuff, but sometimes we struggle to get it into written format. Talking our “expertise” comes much more naturally to most of us. One of the main reasons that I love Periscope is because of the ability to talk and connect to my community in real time. You get to engage. You get to answer questions. You get to go back and forth and be SOCIAL :-). Your viewers can get a sense for who you are and you get a sense for who they are. This real time engagement is what keeps me scoping each and every day. Having the ability to deliver value and building relationships in real time is magical and frankly, it’s very hard to replicate this on static social media platforms. On other social media channels you might post something and people engage with that content on their time as they see the content. Conversely, having the ability to talk to your audience in real time is incredibly powerful and I think all business owners, entrepreneurs, solopreneurs, mompreneurs, or whatever type of “preneur you are, need to honestly take a serious look at this real-time engagement element that Periscope and live steaming brings to you and make room for it in your social media strategy. How many of you have heard at one point or another that storytelling is kind of important? If you haven’t then I am here to tell you that telling your story (or stories) is very important and Periscope gives us the opportunity to do just that. It gives us an opportunity to take micro things that are happening in our business or in our lives and turn them into macro events. I think so many times we struggle as a brand or as business owners with storytelling when the voice, the natural opportunity that live streaming gives us, is exactly that. It’s an opportunity to tell a story, to take something small that’s happening in your business and highlight it. It can be something that has gone wrong in your business that day, it can be something that’s gone amazingly right or it can be something that’s just humdrum that people can absolutely relate to. You just have to be willing to tell the stories :-)! With Periscope, the content you create can be made available for any length of time you want. You can let people know it’s only available for replay for a limited time and then delete the content from within the Periscope app. This gives us an opportunity to build excitement around something that we’re sharing, which is hard to do in many other social spaces. If you have a blog post, for example, you’ll have it on your blog, you will send a tweet out and post it on Facebook, but on Periscope you have the opportunity to build exclusive content just for the community that is on Periscope. You can also drive traffic to that content using your list. 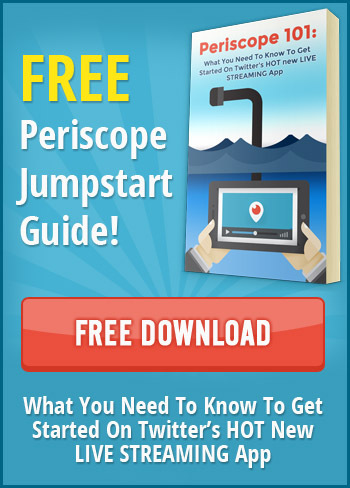 After you are finished with your scope you could send out an email to your list and say, “Guys, if you’re not using Periscope, these are 5 reasons that you need to be using it, and guess what? You can only see this content for 24 hours (or whatever time frame you decide), so you’d better check it out ASAP.” This creates scarcity in that they know they have a limited amount of time to see the content. This is the reason that you should absolutely be on Periscope or participating in live streaming. The know, like and trust factor is what will not only build you a community of your ideal customers and seed your authority in your space, but ultimately drive sales too! People buy from those they know, like and trust, and they will also pay premium prices, in some cases, from those they know, like and trust. Look at Starbucks! A lot of us go to Starbucks and we pay $4 to $5 for that caramel latte instead of going to our local 7-Eleven to get just a regular ole cup of joe. You can spend months and months on Facebook and months and months on Twitter or Pinterest or any of the other social platforms, but none will help you build the know, like and trust factor as quickly as Periscope can. I’ve done it. I am doing it! I have built large community communities on Facebook, Twitter, Instagram, etc., but Periscope gives us a unique opportunity. It gives us the opportunity to build the know, like and trust factor at a super accelerated rate. 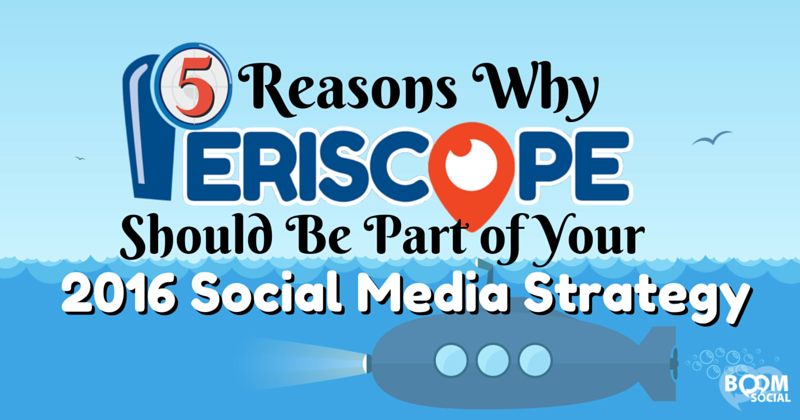 Obviously I could go on and on about why you should be on Periscope or live streaming in general, but these are the top 5 reasons why Periscope should be part of your 2016 social media strategy! If you want more info on how to use Periscope for business, you may want to check out Periscope Profit Machine. Do you have anything else to add to the list? I’d love to hear your suggestions in the comments below! Yep and I have updated the post. Thanks for pointing that out to me.